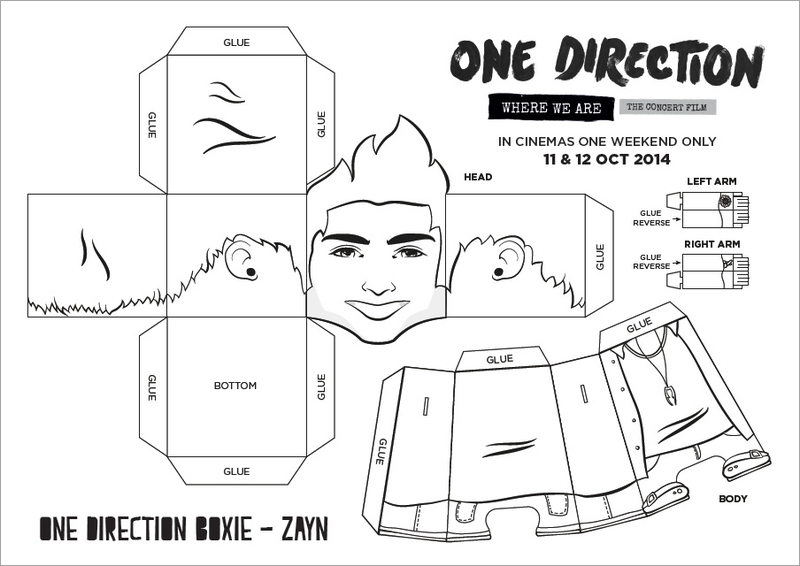 Global interactive campaign for ONE DIRECTION: WHERE WE ARE - THE CONCERT FILM, covering the official site, programme of social content, personalised film trailer app and ad materials. 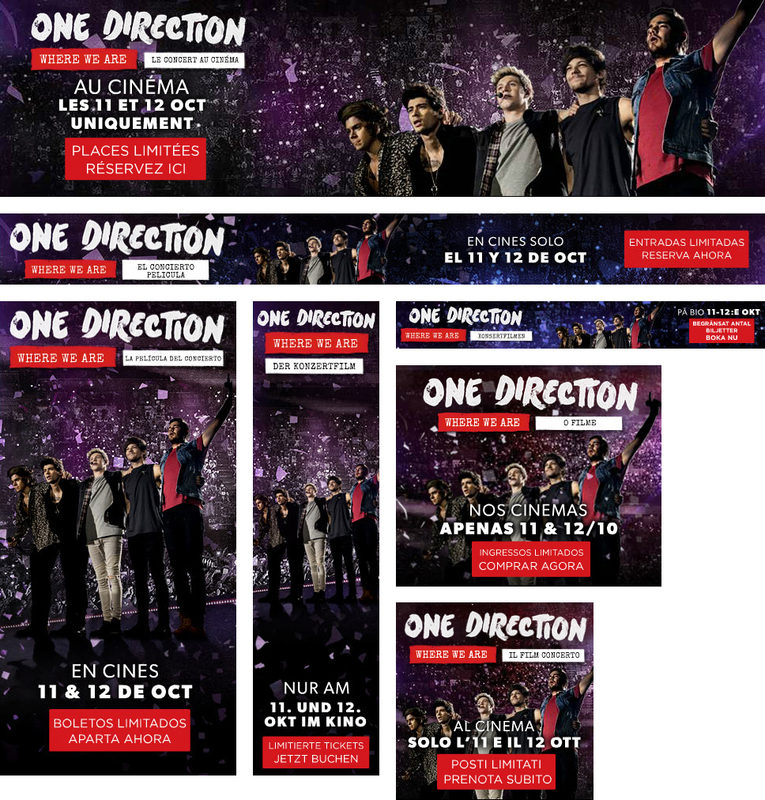 One Direction break yet another world record with ‘WHERE WE ARE – THE CONCERT FILM’, the biggest event cinema release of all time. 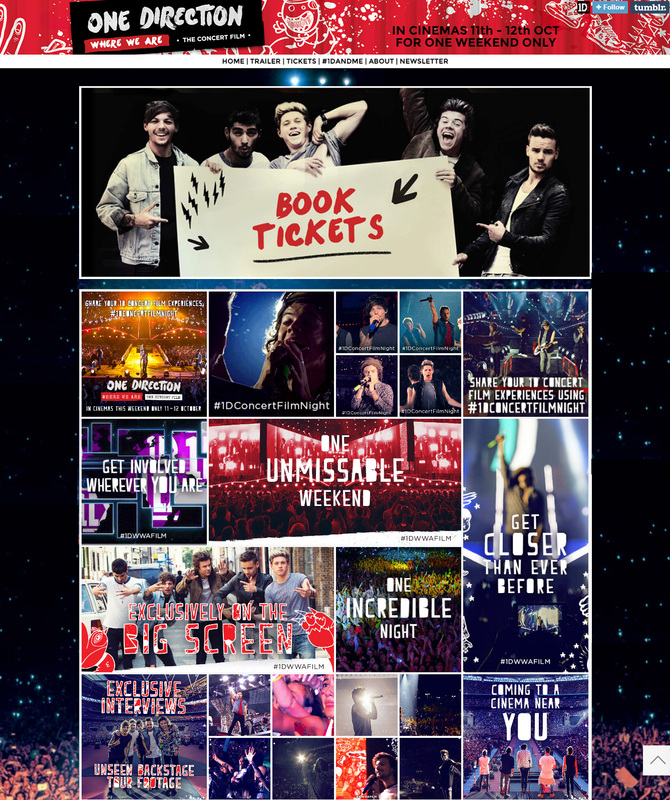 Screened globally over one weekend in October, our interactive campaign focus was on making the concert film a must-see event for all 1D fans out there (and there are many! ), an audience we galvanised through existing and new social channels. We powered the official site with Tumblr, establishing a new social channel through which to drip feed a programme of social content over several months to an audience hungry for updates. Launching with key marketing materials and a variety of images and gifs, within hours we had a following of five figures. Regular updates published directly into every follower’s feed saw, on average, over a thousand reblogs, notes and likes per post. 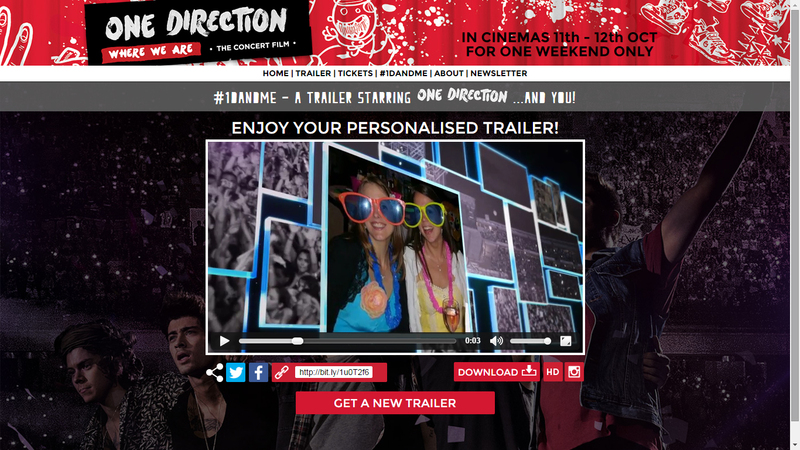 A personalised trailer app gave every fan the chance to see themselves on the big screen with One Direction! With the option to download standard, HD and Instagram versions, and post directly to Facebook and Twitter, users went ahead and spread the digital footprint of the trailer. The app rewarded participants of the early #FilmCredits promotion, which invited fans to share a photo on Twitter/Instagram tagged with #1DWhereIAm. A certain number were then chosen to appear in the film credits in cinemas worldwide, providing a tangible incentive to buy a ticket and see if they made it in. From the design of the main sales sheet to a series of illustrated assets, we created and localised a range of marketing materials to support the film and hosted these on an asset locker for exhibitors and partners worldwide to access.